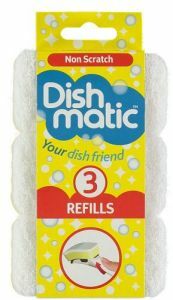 Amazing Dishmatic Washing Up Brush withy Bristles! 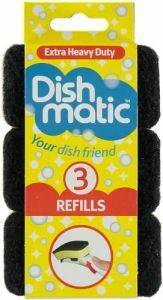 Add Caraselle Dishmatic Brush Refill Twin Pack to your basket? 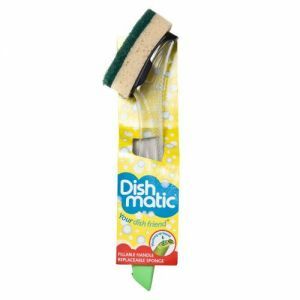 The familiar favourite Dishmatic dispensing handle with a bristle brush head for those that like a traditional offer. DISPENSE - The washing up liquid is automatically dispensed through the brush head as you clean. 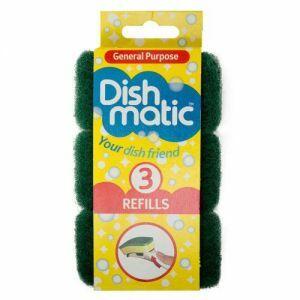 REPLACE - Your Dishmatic is designed to last but when the brush head is worn, simply unclip and replace it with any Dishmatic refill.